Only 16, Malala has become a symbol for women’s right to education, not just in her native Pakistan, but the world and us all. Read more on www.theguardian.com/world/2013/oct/10/malala-yousafzai-wins-sakharov-prize. The Pakistani schoolgirl became a global inspiration after surviving an assassination attempt by the Taliban. In an exclusive interview, she talks about the man who tried to kill her, life in Britain and why she won’t give up campaigning. 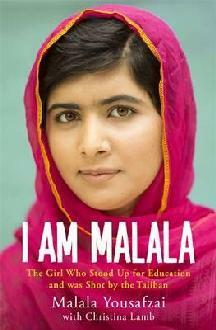 The book I am Malala will soon be available.